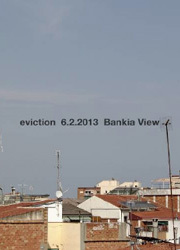 Organized by: Global Visual Cultures | Department of Art History, University of Barcelona. 5. Ways of doing and reading dossier presented and discussed by Christian Alonso, Diana Padrón and Olga Sureda. Coordination of individual jobs (critical article and presentation). Discussion Session. 6. Roundtable: Presentation of individual work and conclusions. Creation of working groups. Definition and coordination of projects. Gathering. 30 hours (10 sessions of 3 hours each): mandatory attendance. Phase supervised by Martí Peran, specific monitoring by the coordinators (Christian Alonso, Diana Padrón, Olga Sureda). Three small working groups will be organized to generate three exhibition projects in private and public art centers in the artistic circuit of Catalunya. Each group should cover all phases of the project (conceptualization, coordination, implementation and dissemination). Project Monitoring: The coordinators will track each specific working group. 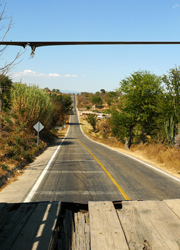 Martí Peran will supervise the entire work process to ensure proper completion of each project. In recent years, the artistic sphere has been demanding the professionalization of the figure of the curator, to the point that they are many academic structures that provide curatorial training in their curricula. This has ensured career in the field of curating, but threatens to become a specialized discipline in the global art scene. From the research group Art Globalization Interculturality (Universitat de Barcelona), we believe it is necessary to detail the results from contemporary curatorial practices understood as mediation mechanism, ‘thinking beyond the specialized role’ and creating a space for debate ‘on the cultural location of this mediation’ (Lars Bang Larsen & Soren Andresen, 2006). On mediation. Theory and Curatorial Practices in the Global Art, is a theoretical and practical training seminar, where we will address various perspectives to identify different methodologies to promote the curatorial practice towards a multidisciplinary scenario. Thus, the seminar will be organized through a first theoretical phase of led lectures by curators of recognized international experience and a second practice phase, where participants can develop the ideas put forward by three curatorial projects mentored, to be presented at different artistic centers in the Catalunya circuit. This seminar is open to artists, curators, critics, students, researchers and other collectives interested in developing their curatorial concerns beyond the disciplinary scope, deepening in the practice of cultural mediation and questioning imposed models. All registered participants will receive a certificate of attendance, online work materials, personalized tutoring, specific monitoring of curatorial projects and the ability to publish in the journal REG|AC (Journal of Global Studies and Contemporary Art, University of Barcelona). 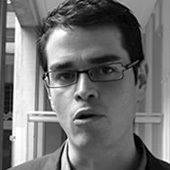 Juan Vicente Aliaga is a Spanish art critic who has written widely on contemporary conceptual art as well as on gender and queer theory. The Theoretical Phase of On Mediation: Theory and Curatorial Practices in the Global Art includes a 3-hour workshop led by Juan Vicente Aliaga. 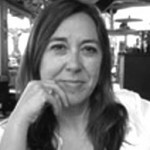 Pilar Bonet is a critic and art historian. Lectures in criticism, art and contemporary design at the Universitat de Barcelona and Universitat Ramon Llull. 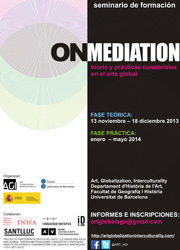 The Theoretical Phase of On Mediation: Theory and Curatorial Practices in the Global Art includes a 3-hour workshop led by Pilar Bonet. 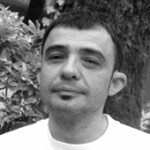 Conrado Uribe is a curator based in Medellín, Colombia. He is a contributing writer for Colombian art publications ARTERIA and ARCADIA and the Director of a weekly radio program focused on interviews about art and culture. The Theoretical Phase of On Mediation: Theory and Curatorial Practices in the Global Art includes a 3-hour workshop led by Conrado Uribe. 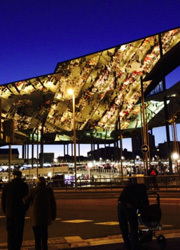 The recent transfer of the “Mercat dels Encants” (Flea Market) represents the latest evidence of the “Barcelona model” drift toward disciplined planning solutions to the regulations and design laws. The project “Menos es más” (Less is more), through artistic interventions in the context of a market that call into question the supposed gain derived from greater standardization test to make visible the increase in prices that has hit the market, its growing touristization, the hierarchical nature of the organization of the new stops and, in general, the loss of value in the market supply. Artists: Rafael Tirado, El Pintorofiu, Miquel García, Ferran Cardona, Leonado Luigi Perotto. A research in the archives of The Fundació Antoni Tàpies has allowed to reconstruct the Barcelona critical portrait that conveys the exhibitions dedicated by the Center, to the course of the nineties, to krysztof Wodiczko, Craigie Horsfield and Hans Haacke. Thus, the city already put in evidence a number of problems, the concentration of corporate capital, real estate speculation, managing migration, erosion of the idea of the public sphere… – that the later years have accentuated. Through the recent work of different artists and collectives, the project “Barcelona Inspira” (Barcelona Inspires) proposes an update to all these questions. Artists: Adrian Melis, Enmedio, Sitesize, Daniela Ortiz i Xose Quiroga, Azahara Cerezo & Mario Santamaría. As a curatorial project developed from the Guasch Coranty collection and in collaboration with the MACBA (Museum of Contemporary Art, Barcelona), “I, Missile” offers an open reading in personal, social and political terms, about the idea of ​​vital trajectory, equally subject to determination, convention and, of course, inevitable deviations and drifts towards the unexpected. The process can be derived from a failure as a result of a system error or a renunciation to the established conditions. In either case it involves a capacity of empowerment that activates the politic power of the subject. Artists: Harun Farocki, Santiago Vich, David Bestué, Xavier Ristol, Francesc Ruiz Abad / Aniol Fernández, Ingrid Skovgaard, Bárbara Sánchez.